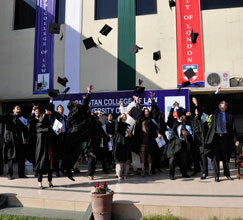 On February 18, 2012 PCL conducted the 5th Annual Graduation Ceremony for its University of London International Programmes. 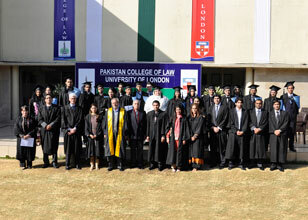 In this ceremony graduates were awarded with their LL.B (Hons.) Degrees and Diploma in Law Certificates. The College was honored to have as the Chief Guest for the occasion, Mr. Justice (R) Wajiuddin Ahmed, who presented the Certificates in the presence of Faculty and Family members of the students.